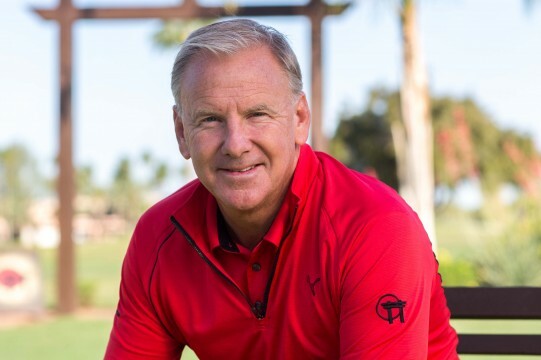 The Tathata Golf training center in Scottsdale, AZ, is the realization of a Bryan Hepler dream that’s 40 years in the making. Hepler’s training facility is one part enchanted garden, one part martial arts methodology, and one part golf like you’ve never experienced before. A surging wave of golfers from all over the world are turning to Hepler’s dream through the Internet, the Golf Channel, and referral success stories featuring some of the biggest names in golf. Those who dive into the Tathata way will encounter subtle and dramatic philosophy differences on nearly everything thought to be true about the game of golf. To help acclimate Tathata newcomers why his method makes so much sense, Hepler leans on the swings of four golfers you’ve no doubt heard of. Namely Nicklaus, Hogan, Snead, and Woods. Golfers with a television, cell phone, or laptop computer have at some point watched a Tathata video clip of Hepler’s team making a windmill backswing motion. This movement is a snapshot of what takes place in Tathata’s 60-day online training, CD’s, and golf schools. Hepler’s golf school setting showcases a paradise learning environment of lush green, fluid movements, and work stations that are steeped in the martial arts. The martial arts aspect of Tathata is where Hepler’s dream separates itself from traditional golf. It’s also where this Wenatchee, WA-native’s passion for teaching shifts into overdrive. After spending decades studying golf and the martial arts, Hepler discovered that key elements of ancient fighting mirrored the golf swing. What jumped out at Hepler was that integrating crucial martial arts basics would not only improve the golf swing, but once mastered, could be relied upon long term. For Hepler and his growing legion of golfers, “pressure” is the key word in their swing vocabulary. Pressure in the setup, pressure in the backswing, pressure at impact, and pressure in the follow through. Tathata teaches that pressure delivers a safer, faster, and more reliable golf swing. 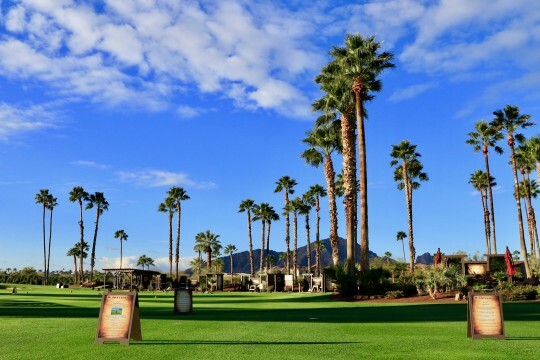 At Tathata Golf’s training facility located on McCormick Ranch Golf Course, students begin their journey by walking through an arched entrance called the Gateless Gate. Asian influences abound at Tathata, whether it’s the training center dojo, perfectly manicured bonsai trees, or even the Bokken fighting sticks used to reinforce the proper swing motion at impact. Once on the facility, students who have gone through the 60-day video training program see several familiar faces. Alex and Lauren, Hepler’s counterparts in all the Tathata videos, are on hand to greet and train golfers. There is also a Wall of Greats station revealing how the classic golf swings of Nicklaus, Hogan, Snead, and Woods all uphold key Tathata motion principles. At Tathata’s two-day school in April, Hepler’s team got acquainted with 11 golfers from Alabama, Arizona, Minnesota, New Jersey, New York, and Northern California. The golfers collective handicaps ranged from five to 25. In each case these golfers came seeking a repeatable golf swing, and a method that relies less on mechanics and more on a swing you can trust. 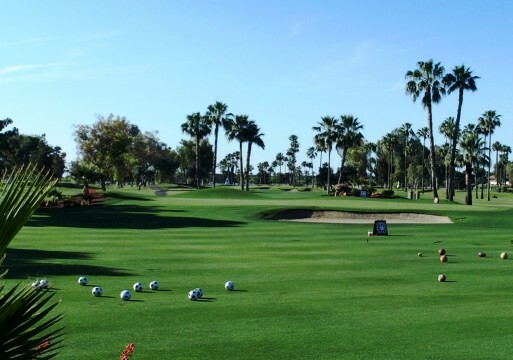 There is a definite fitness or even lifestyle element to Tathata Golf. After an introduction to the two-day itinerary, Lauren led golfers through a rigorous stretching regimen. During the course of the stretching, golfers got their first chance to absorb the Zen feel of a property that Hepler designed in a dream that originated in the 8th grade. The quietness of the Tathata environment was occasionally interrupted when Hepler or Alex took students to stations equipped with sticks. The students were encouraged to thwack at hitting pads in order to feel the velocity gained and supported by the correct way to swing Tathata-style. Hepler reminded students that over the decades, golf had lost the joy found in other sports. Hepler is a proponent of instilling the athleticism found in football, basketball, and hockey into the golf swing. Tathata also compares a soccer kick motion to the impact moment of the downswing. At one point Alex stood on a putting green about a wedge shot away and trotted back in forth with flag in hand. Hepler shared that golf’s stationary target works against a golfer’s psyche. A golfer’s touch improves if he or she envisions the setup, shot, flag, and green as a moving target. Throughout the two-day training, Hepler and his team radiated a passion for what they are teaching. Ultimately students feel this passion and the Tathata mission of boosting students’ joy for the game. 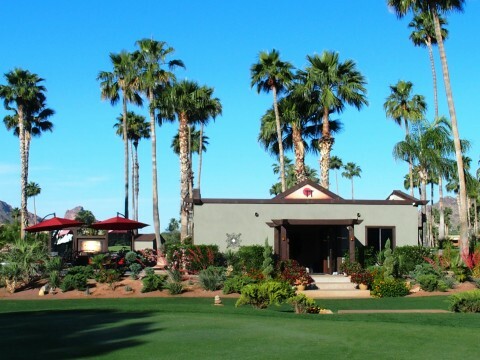 The reverberations of Tathata Golf can be felt from Scottsdale and throughout the globe. At last count, over 9,500 golfers from 75 countries have participated in Tathata online training. Tathata has seen dramatic success at the junior level. In addition, scores of graduates are practicing Tathata in the golf professional community. High-profile Tathata notables include Gary McCord, Brandel Chamblee, and LPGA President Deb Vangelow. 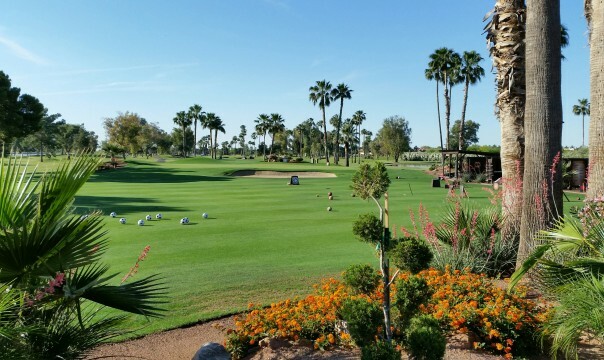 For the golfer seeking a new energy for his or her game, there are five acres of Scottsdale paradise waiting for you. Once you walk through the Gateless Gate, you’ve entered Bryan Hepler’s dream. Hepler’s betting there’s a chance you’ll awaken to golf like you’ve never played before.